Product #364 | SKU 8-003-0024 | 0.0 (no ratings yet) Thanks for your rating! The Redrock Micro microMount (3 Pack) gives you three handy connectors to attach to any 15 mm rod on your camera support system. 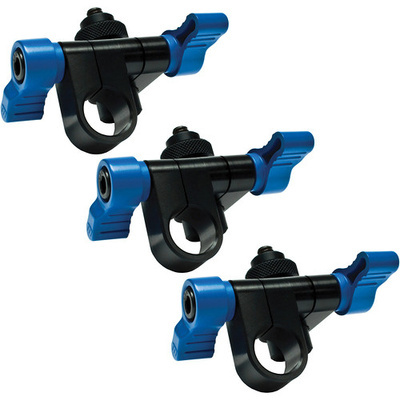 With their standard 1/4"-20 male and female mounts, these connectors let you add accessories such as articulating arms, external monitors, or even additional rods. A variety of configurations is at your fingertips.